Welcome to another week of Writerly Wednesday, a meme that was started by the lovely Erin Danzer. IN this meme, I talk about all things related to writing. As most of you know, I run a magazine called Literary Lunes. It’s been around for about a year and a half now, and I’ve started publishing the magazine in paperback. I was using Lulu to do so, but I found out yesterday that they never published the paperbacks! WTF? I was wondering why I wasn’t making any sales off of it. Sighs. Everything had been saved as a draft, and they never notified me! So now I had to take everything down from them, and am in the process of re-publishing through createspace. It’s such a waste of time, but at least I now know that it wasn’t because of something I did per say…it was Lulu not telling me I needed to make changes or that they couldn’t convert it to a pdf. It’s so frustraiting! Speaking of Literary Lunes, you guys should hop on over to the newly rennovated website and check out all of the changes and updates I made over the weekend. I still have a lot of work to do, but it is getting there! I commissioned Dafeenah over at Indie Designz for a new banner and I cannot wait to see what she comes up with! For those of you who don’t know this, but she designed the banner and buttons for two other of my websites. You can find samples of her awesomeness here and here. To view the newly updated Literary Lunes website, please go to www.literarylunes.com. I am currently organizing a blog tour for the Writings From the Heart anthology that I am releasing on June 6. I still have plenty of spaces available, so if you would like to hop on the tour please let me know! 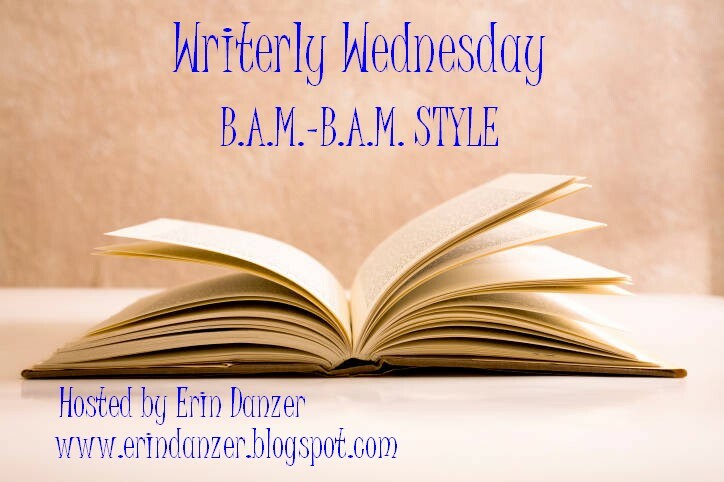 Writerly Wednesday, is a meme that was started by my good friend, Erin Danzer. It is a meme where I update you all on the things going on with me in Writing-land. For more information on Writerly Wednesday, please visit Erin’s blog at http://www.erindanzer.blogspot.com. This week, in writing-land, seems to be a fairly decently busy week. I am aiming to get the March/April issue of Literary Lunes Magazine up over the next couple of days. It’s taking me longer than I want it to to get it done. I am also putting together a team of book reviewers for it, and have received a great response of inquiries. They will start reviewing in the May/June issue. I will also be doing some more work on both websites (the magazine & publishing house). In other news, my muse has finally returned to me after abandoning me for a month and a half. I can now FINALLY continue to write in Stormy Nights, the sequel of Prince of Darkness. I missed writing so much, and she came back just in time too. I was starting to become depressed again. For those who don’t know, when I go for too long without writing (and I mean fiction writing, not blog writing), I get a little depressed. It’s my outlet, and when I don’t write, it’s like part of me is missing. I know I probably sound crazy, but, that’s just how I am. Thursday, is Dusty Books Thursday #2. I missed last week due to forgetfulness. Hey, I’m human…it happens lol. This week’s feature is another one of Amelia Atwater-Rhode’s books, Demon In My View. That post will be going live at midnight! Friday, is not only Fangtastic Friday, but is also the day that the girls of Ermilia Publishing will be stopping by to tell us about their fabulous new series called Blind Sight. I am still reading their books, and I have to say, I absolutely ADORE Leocardo’s book. I haven’t had a chance to read Anielia’s yet. It is a promising, new YA/fantasy series. To find out more about them, check out Blind Sight on Goodreads. Well, that’s this week in a nutshell. Hope everyone has a great week!